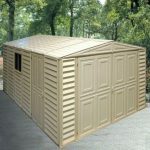 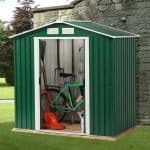 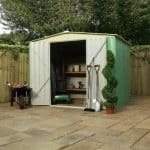 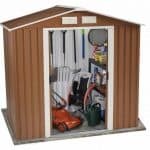 This metal shed has plenty of features that make it an attractive purchase for anyone who wants a practical way to store their garden tools. 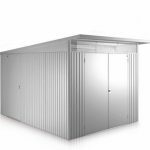 There is a galvanised feel to the whole building; so you have added protection against any rust that may come from rainwater. 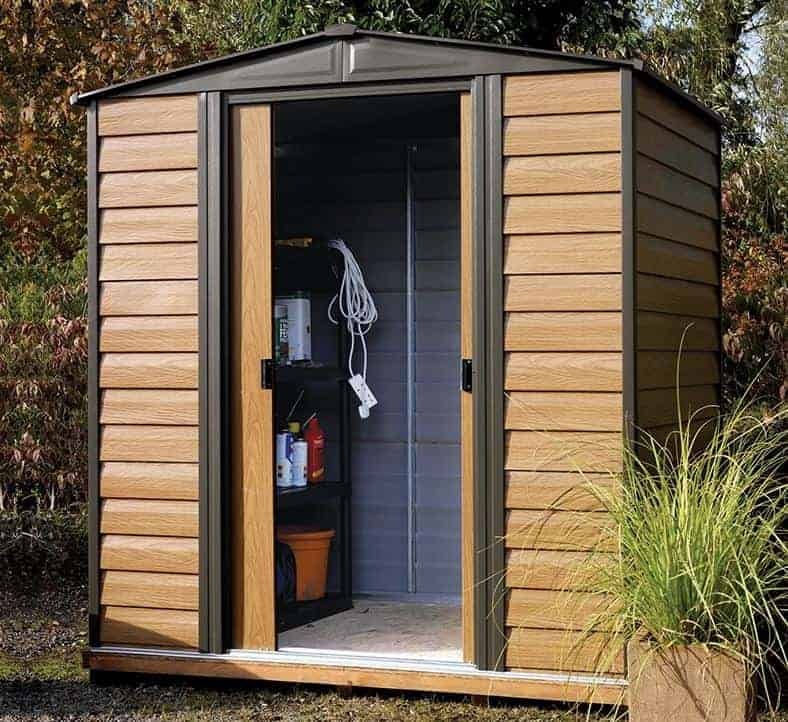 The apex roof give you added headroom to make it easier to store taller and bulkier tools, which is a nice addition. 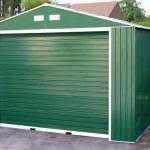 There are also sliding internal doors so you get added security and protection for the interior of the building and this means that your contents are safer and more secure.